… but is Natural England turning a blind eye? Anna Dale’s essay concludes that there must be no uncertainty – good biosecurity is vitally important. 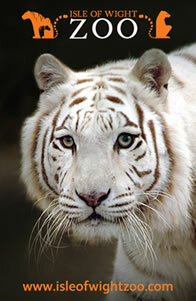 I’m not a scientist or a naturalist and I don’t have a legal background, but I’ve always been interested in wildlife. When I learned about the Government’s intention to cull badgers I read all about bovine TB and came to the conclusion that killing badgers was not an effective course of action. I was frustrated that public money was being used for this policy and that there was a huge amount of secrecy surrounding the culls, which the Government claimed were ‘science-led’. I decided to utilise the Freedom of Information Act so that the culls could be more effectively monitored, assessed and debated by the public. My information requests were handled under the Environmental Information Regulations which recognise the importance of public participation and debate on matters of environmental concern as well as the right of the public to challenge decisions. In 2015 my pursuit of information ended in court when both Defra and Natural England appealed against the Information Commissioner’s decisions that they disclose the information that I requested. Both bodies had experienced legal teams and I was helped with hastily assembling my own team when I realised the absolute necessity of this. I had Alison Mills, a fearless litigator persuaded out of retirement and a formidable, highly skilled barrister, Tim Nesbitt, from Outer Temple Chambers. Additionally, I had a credible witness, help from various sources which was invaluable in enabling me to proceed and advice from the Badger Trust. There was also another impressively thorough legal team on our side: Christopher Knight and Richard Bailey for the Information Commissioner. A summary of the Judgment can be found here. Unfortunately, since the Judgment, the Government has continued its efforts to cull thousands more badgers in several more areas with Natural England facilitating Defra’s action. I made more information requests, but instead of finding it easier I encountered even more resistance than before. However, I was able to uncover information about biosecurity levels on farms in the cull zones and this essay is the result of that work. Below-par biosecurity should mean no badger cull licence, but is Natural England turning a blind eye? So, there is no uncertainty about it. Biosecurity is vitally important. Levels must be high, and the measures must be “applied rigorously”, but, the question is, are they? Biosecurity is the measures taken to protect against or prevent the transmission of infectious disease, defined by Defra as “designed to reduce the risk of transmission of infectious disease” in its Guidance to Natural England4 . Biosecurity can include measures that prevent infected cattle from entering a herd; measures that protect against the risk from neighbouring herds by the use of double-fencing, cleaning and disinfecting shared equipment or vehicles, wearing protective clothing, using disinfectant foot dips and taking precautions when spreading slurry and manure; and measures that minimise the risk of infection between cattle and wildlife (badgers, deer, wild boar, etc), such as preventing badger access to feed stores, fencing off setts and latrines, using mains water for cattle, and raising troughs and regularly cleaning and disinfecting them. Responsibility for assessing biosecurity falls to the issuer of badger cull licences, Natural England (NE). It stands to reason that NE would require information from each participating farmer on the biosecurity measures that they are applying in order to be sure that reasonable measures are being implemented. Surprisingly, however, it appears that this has not been the case. Initially, yes, the information was required, but then – for reasons that remain mysterious – it wasn’t. Is this not a curious strategy? In order to assess whether biosecurity on each farm is at an acceptable level surely the relevant information is essential. Why would NE agree that it could be held back? Clearly, NE wished to receive the risk assessments, initially. What – or who – could have caused NE to change its mind? And how – without this information – can NE be sure that this licence criterion has been – or will be – satisfied? Natural England may not have required risk assessments, but it did send monitors (trained for their task by the Food and Environment Research Agency (FERA), an Executive Agency of Defra) to monitor biosecurity compliance on participants’ farms. This monitoring took place in the application areas prior to a decision being made whether to issue a licence and, also, after a licence had been issued. In the years that licences were issued for West Gloucestershire and West Somerset (2012) and Dorset (2015), about 10% of cull participants’ farms were visited. Just under ten per cent of participants’ farms in Dorset were also monitored in 2013 (the year that no visits were conducted in West Gloucestershire or West Somerset), but no Dorset farms were visited in 2014. Monitors resumed visiting farms in West Gloucestershire and West Somerset in 2014 and 2015, although the number of farms was reduced to about 5% in each year. From 2012 to 2015, a team of between 7 and 10 Natural England staff conducted these biosecurity monitoring visits annually. In 2015, when visits were carried out in all three cull zones for the first time, only 7 monitors undertook this work. In previous years, most visits had been made in pairs, but in 2015 about three-quarters were carried out by a single monitor, suggesting either that monitors were more confident to carry out visits singly or that the increased number of visits, over three zones, necessitated it. With the badger cull extended to additional areas in 2016, it was highly likely that this small team of monitors would struggle to cope with their greatly increased workload, spread over 10 areas and 6 counties – and, indeed, this appears to have been the case. Approximately 5% – and in two cases ‘circa’ or less than 5% – of participants’ farms were monitored for biosecurity compliance in five out of the seven new cull areas in 2016. One area in Devon had had “c5%” of participants’ farms monitored by the time the cull licences were issued and the status was still “ongoing” after culling had begun, whereas the status for all other areas was “complete” and specific percentages were supplied6 . In the two cull areas in Cornwall, a mere 5.2% and 5.3% of participants’ farms were visited and in the additional Dorset cull area the figure was 5.7%. The lowest percentage of all, however, was in the new Gloucestershire cull area where just 4.6% of participants’ farms were visited. The highest proportions visited were in the second Devon cull area (10.1%) and the Herefordshire cull area (9.2%). Although details of monitoring visits in the three initial cull areas, for 2016, were requested, Natural England failed to supply any information, perhaps because there were no visits made. NE claims that it “strives to be an open and transparent organisation”7, but despite being asked for information early in March 2016, Natural England failed to disclose any details about biosecurity monitoring visits conducted on the farms of cull participants/potential cull participants in 2016 until mid-September 2016 after licences had been issued for the seven new areas and after culling had begun. The number of visits, their location, the proportion of farms visited and whether farmers had achieved high levels of biosecurity were all kept from the public. Furthermore, NE revealed that it had consulted with the Control Companies, the National Farmers Union (NFU) and Defra when considering the request for information. In May 2016 and, again, in September, NE disclosed information on spreadsheets in relation to biosecurity monitoring from 2012 to 2015. However, it redacted a great deal of information, including, for some farms: size of farm, number of setts, TB status, number of cattle, and even – in respect of a West Gloucestershire farm – the type or breed of dogs kept in a kennel next to a cattle feed shed (“Right next to the shed is a kennel where a number of [redacted word] dogs are kept”). Should Natural England have issued licences to the 7 new cull areas? In September 2016, NE said: “Biosecurity monitoring visits were conducted between December 2015 and March 2016 and started again in July 2016 and are ongoing”11. However, if an average of 6.4% of participants’ farms in the new areas had received monitoring visits by September 2016 (meaning an average of 93.6% had not received visits) and these visits were “ongoing” after cull licences had been issued and culling had started, it is difficult to comprehend how Natural England could be confident that reasonable biosecurity measures were being implemented by participating farmers on their land and, therefore, that licences could be issued. Standards of biosecurity: good, fair or poor? Achieving high standards of biosecurity is widely accepted to be crucial in order to stem the spread of bovine TB. From 2012 to 2014, monitors used the ratings of ‘poor’, ‘fair’ and ‘good’ to assess biosecurity standards, and results were mixed. In Dorset in 2013, for example, 13% of participants’ farms monitored were judged to be ‘poor’ and less than half as ‘good’. Surprisingly, by 2015, these ratings had been abandoned. In 2014 NE had said that the use of these ratings “was considered an appropriate way to quantify the results for analysis and follow up if required”12 but in 2016 NE confirmed that “Natural England no longer gives assessment ratings”13, without explaining why it had discontinued their use. Natural England appears confused about the percentages of participants’ farms which have received ratings of ‘good’, ‘fair’ and ‘poor’. In 2014 NE supplied these percentages for West Gloucestershire in 2012: 67% ‘good’, 30% ‘fair’ and 3% ‘poor’14 . Yet in 2016, information disclosed suggested that the figures were different: 59% ‘good’, 37% ‘fair’ and 4% ‘poor’. In relation to West Somerset in 2012, figures were similarly inconsistent. In 2014 NE supplied the following percentages for farms visited in 2012: 75% ‘good’ and 25% ‘fair’15. Yet, by September 2016, disclosed information indicated that farms judged to be ‘good’ in 2012 had shot up to 85% and those assessed to be ‘fair’ had reduced to 15%. Interestingly, in May 2016, four ratings were missing from a spreadsheet, but – four months later – all four of these missing ratings were disclosed to be ‘good’. Going by the percentages provided in 2014 two of these missing percentages should have been ‘fair’ and only two ‘good’. Such disparities are greatly concerning. Monitors’ assessments and recommendations – provided from 2012 to 2015 – give a more rounded idea of the biosecurity standards on participants’ farms. These range from “Farmer has good biosecurity in place” (West Somerset, 2012) and “Overall the farm yard was spotlessly clean” (West Gloucestershire, 2014) to “The farmer seems aware of biosecurity actions, but is taking very few practicle [sic] measures” (West Somerset, 2014) and “[Redacted word] they don’t see the point of having all visitors disinfect” (West Somerset, 2015). No bovine TB or the cattle thought to be carriers – so why target badgers? Monitors’ comments also reveal that there are participants whose cattle have never had TB: “TB Free, never had a reactor. 2 setts on farm” (West Gloucestershire, 2012), participants who have been TB free for several years: “Farmer has not had a TB breakdown for a few years now” (West Gloucestershire, 2012), farms which are currently TB free: “Badgers seen occasionally at night. Very small numbers of cattle. TB free” (West Somerset, 2012) and “no real TB problem” and “no real TB problem here” (Dorset, 2013). In addition there are participants who have identified cattle as the source of infection: “Farmer thinks recent breakdown was from cattle that were brought in” (West Gloucestershire, 2012) and “The farm is currently free from TB restrictions . . . They have had ones and two go down with TB in recent years and it tends to be the bought-in cattle that have reacted” (West Somerset, 2014) and also farms which are under TB restrictions but have no badgers, for example this farm of nearly 100 hectares: “No known badger activity known off [sic] on the farm and no woodland” (Dorset, 2013) – all of which beg the question, what is motivating these farmers to take part in the badger culls? It is evident that some farmers agreed to recommendations made by Natural England monitors: “Farmer said he does this and will continue to do so” (West Gloucestershire, 2014). However, there are a number of comments from monitors which suggest that a commitment to implementing measures has not been secured, exemplified by phrases such as “The farmer is considering if he can do anything on this matter”, “The farmer will consider using . . .”, “he will think about how he can alter them” (West Gloucestershire, 2012) and “He said he would consider our recommendation” (West Gloucestershire, 2014). In the early years of monitoring biosecurity, the focus was on preventing or minimising “badger to cattle contact”: “Farmer has taken effective steps to prevent badger to cattle contact” (West Somerset, 2012) and “Farmer . . . does what he can to help reduce badger to cattle contact” (West Gloucestershire, 2012); the types of biosecurity measures mentioned by monitors ranging from fencing off badger setts and latrines, badgerproofing cattle feed stores and buildings, cleaning out water troughs regularly and achieving an 80cm height for mineral licks and troughs. However, in March 2015, the risks associated with cattle to cattle transmission were mentioned: “Advised of the risk of cattle-to-cattle exposure when grazing cattle on shared commons” (West Gloucestershire, 2015) and “Ensuring better disinfection for contractors including footbaths” was recommended (West Gloucestershire, 2015). Then, a few months later, in July and August, monitors visiting farms in West Somerset made recommendations to 40% of visited farms that improvements should be made to their on/off farm disinfectant protocol. Later the same year, Defra announced the launch of a Bovine TB Biosecurity Plan and Information Hub. The five points of the Plan included “Minimise infection from cattle manure”, “Reduce risk from neighbouring herds”, “Stop infected cattle entering the herd” and “Manage cattle feed and water” as well as “Restrict contact between badgers and cattle”16. In 2016, new evidence emerged, provided by researchers from the Zoological Society of London (ZSL) and Imperial College London in a paper ‘Badgers prefer cattle pasture but avoid cattle: implications for bovine tuberculosis control’, published in Ecology Letters17. These researchers concluded that badgers tend to keep away from cattle and that “It is a more likely scenario that indirect contact through environmental contamination is the primary route of M. bovis transmission between badgers and cattle”18 rather than direct contact, meaning that infection risk could remain for days or months because of contaminated pasture, manure or slurry. The findings of researchers from ZSL and Imperial College London (whose study was funded by Defra) supported “earlier, smaller scale studies”19 and also tallied with a number of observations by Natural England monitors: “farmer has CCTV cameras up in the cattle sheds to help with calving and he has never seen a badger in the shed on the camera”, “Farmer has never seen any badger activity in the yard or buildings” (West Somerset, 2012) and “badgers were never recorded in the yard and buildings” (West Gloucestershire, 2014). It appears that monitors felt, by 2015, that disinfection protocol was an area requiring more attention by farmers and that this coincided with the broader set of actions suggested in the Bovine TB Biosecurity Plan and TB Hub and the researchers’ findings, published in 2016, which inferred that “direct contact between badgers and cattle was very infrequent”20. Should biosecurity compliance be looked at again? Given that the focus seems to have shifted away from preventing badger/cattle contact, should biosecurity measures on farms monitored in earlier years be reassessed? Natural England not perceived to be entirely objective? Natural England is the body responsible for assessing applications and issuing licences for culling badgers, and as the Information Tribunal Judgment in 2015 noted, “as a body implementing Government policy NE will not be perceived by the public to be entirely objective.”21 Therefore the appropriateness of the biosecurity ratings applied is a factor which deserves scrutiny. For example, there are cases when ‘fair’ biosecurity measures do not sound as if high levels of biosecurity are being achieved, as was stipulated by Defra’s Chief Veterinary Officer. Also relevant is the fact that NE has supplied information suggesting different percentages for ‘good’, ‘fair’ and ‘poor’ biosecurity measures on participants’ farms – for both West Gloucestershire and West Somerset – in 2012. Were NFU representatives present when Natural England monitors carried out their assessments? On all biosecurity compliance forms supplied by NE in June 2014 there are the following 3 categories: ‘Name of farmer’, ‘Natural England Advisers present on visit’ and ‘Names of other persons present on visit’. All information in these categories was redacted and therefore it is not clear who these ‘other persons’ are. The following comment was made by a NE monitor about a farm in the Dorset cull zone which was visited on 16 July 2013: “No recommendations or actions. NFU said they would get their TB advisers to share possible solutions and ideas with the farmer about raising up the rock salt.” This information was supplied by NE on a spreadsheet in May 2016. It was supplied again on a form in September 2016 by the manager of the bovine TB Licensing Unit. However, on the form, the words “NFU” and “their TB advisers” had been redacted. This suggests that the bTB licensing manager did not want this information to be known by the public. If, as is possible, the NFU were present when NE monitors carried out their assessments, could this have affected their judgement? Of the farms which were given ratings, more than a third (39%) were considered to have biosecurity measures that were ‘fair’, but the comments made about some of these farms suggest that standards were not high and that the application of this rating may have been overgenerous. A farm judged to be ‘fair’ belonged to the farmer, already mentioned, who was “taking very few practicle [sic] measures” (West Somerset, 2014). Also assessed as ‘fair’ were farms receiving the following comments: “There is little that can be improved without costing a lot of money” (Gloucestershire, 2012), “Securing the entire building area would likely require significant cost and effort due to the layout” (West Somerset, 2014), “Bulk concentrates stored in shed with gate but not badger proof . . . Cattle sheds not badger proof . . . Cattle access to woodland as fencing in poor condition” (West Somerset, 2012), “Biosecurity not given high priority . . . Other recommendations could be made but not considered proportionate at this time” (West Somerset, 2014). Natural England said that its “definition of a poor biosecurity rating is that reasonable biosecurity measures were not being implemented by the participant.”22 Therefore, a rating of ‘poor’ does not satisfy the licence criterion or the culling policy requirement. There are farms which were assessed as ‘poor’ from 2012 – 2013 and, although none were assessed as ‘poor’ in 2014, 15 out of 26 visited farms (58%) were described as ‘fair’ and not ‘good’, with 3 farms in West Somerset unrated according to information disclosed in May 2016, but all three revealed to be ‘good’ four months later. In 2015 (by which time ratings of ‘good’, ‘fair’ and ‘poor’ had been abandoned by NE) the following comment was made about one West Gloucestershire farm, visited in May: “Raise food, water and licks. Prevent access to feed – this would have been a serious recommendation but the farmer already planned to make these improvements so no need for serious recommendation” (West Gloucestershire, 2015). Should the licence in West Gloucestershire have been suspended? Did anyone return to the West Gloucestershire farm, prior to the 2015 cull, to check that the farmer had done what he or she planned to do? At the end of August 2015 the percentage of participating land in West Gloucestershire was 70.35%24 and the .35% equated to 109 hectares. According to NE, 79 participants (almost a third) in West Gloucestershire have a land holding over 100 hectares and 13 over 300 hectares25. Therefore, if the NE monitor had made “a serious recommendation” (as, perhaps, he or she should have done) the farm may have had to be excluded and the licence suspended. Should a licence for West Gloucestershire have been refused in 2012? Defra said, in 2011, that “participating farmers must demonstrate good biosecurity” and “Natural England will need to be satisfied that reasonable measures are in place on all participating farms within the control area before a licence is granted”26. By May 2015, a licence had been in place for West Gloucestershire for nearly three years and culling had been carried out in 2013 and 2014, yet this farm’s biosecurity measures were clearly not good enough. It is therefore very possible that a licence was granted in 2012 when reasonable measures were not in place on all participating farms – when the percentage of participating land in West Gloucestershire was just 70.17%27 (53 hectares over 70%) – and that if NE had not changed its mind about receiving risk assessments, it would have possessed proof of the below-par measures on the farm which in 2015 received the comment “this would have been a serious recommendation”. Has Natural England gone to such lengths? No farms visited in West Gloucestershire and West Somerset, prior to licences being issued, received follow-up visits (although one telephone follow-up was made for West Gloucestershire) and the size of the control area in Dorset remained constant (at about 223km2) from 2013 to 2015, all of which does not point to such action being taken. How many farms do not have reasonable measures in place? What about all the farms which have not yet received visits to check biosecurity compliance? Up to and including 2015, fifty-three visits had been made to participants’ farms in West Gloucestershire by biosecurity monitors. Assuming that none of the participants received visits more than once, that leaves 65 participants with cattle (55% of participants with cattle), in West Gloucestershire, who had not received a visit by the end of 2015. In respect of participants with cattle in West Somerset the figure is 69 (63%) and in Dorset 65 (68%)29. Should licences for any or all of the cull zones have been withheld, suspended or refused? And what about the farms identified as having poor biosecurity? Did they still have poor biosecurity when licences were issued? Are their measures ‘poor’ now? How many farms assessed as ‘fair’ should really have been assessed as ‘poor’? Then there are the farms that did not receive a rating because ratings had been abandoned. How many of them deserved to be assessed as ‘poor’? How many farms would have been identified as having ‘poor’ biosecurity, prior to licence issue, if risk assessments had been received by NE? Would licences for any or all of the zones have been withheld, suspended or refused? Should they have been withheld, suspended or refused? What about the farms which were monitored in the seven new cull areas whose assessments have not been disclosed to the public? How many of these farms had measures which were not ‘reasonable’? As a consequence of all the above concerns, but particularly because a scant amount of information has – so far – been disclosed about participants’ farms in the 7 new cull areas, there is a pressing need for far greater transparency on the subject of biosecurity. 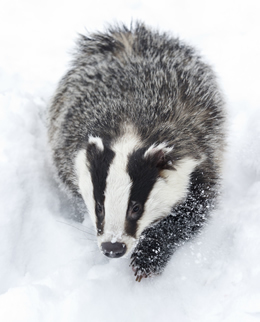 In the meantime, it would be sensible, prudent and financially astute to halt the badger culls, which continue to be highly controversial, widely and strongly opposed and enormously expensive until “Studies of the distribution, persistence, and infectiousness of environmental M. bovis . . . to help refine Tb control strategies”30 have been carried out and it has been established that biosecurity measures which are effective have been implemented – on every participant’s farm – to the high standards that the CVO, himself, demanded. NB: All comments by Natural England monitors about biosecurity compliance in the badger cull zones were supplied by Natural England.